The Massachusetts women’s lacrosse team earned its third straight win on Sunday afternoon as Hannah Burnett scored in overtime to complete her team’s comeback, winning 14-13. 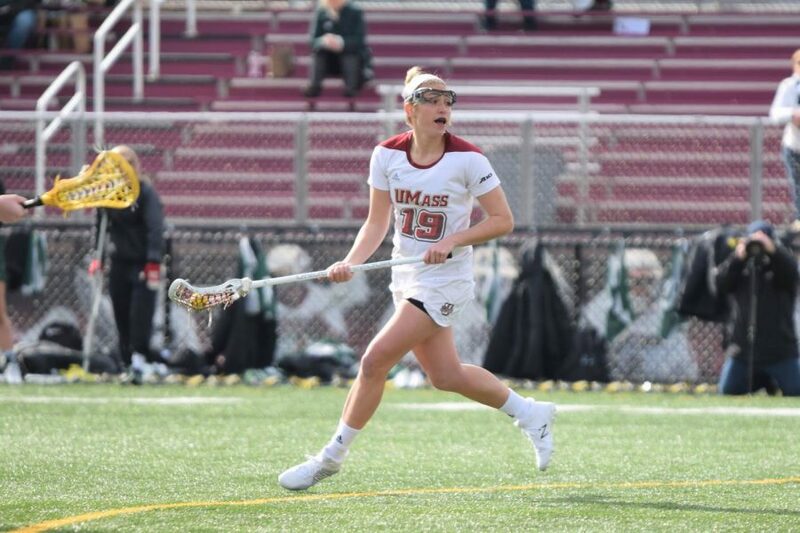 UMass (4-2), on the brink of a third loss this season, was saved by Kaitlyn Cerasi as she knotted up the score with one second left in regulation. Burnett, who has 23 points, and Cerasi, who has 20, are second and third on the team in points led only by Holly Turner, with 28. Combined, all three players make up 58 percent of the team’s total point scoring. The turnover scale was tipped heavily in favor of the Minutewomen, 25-10, as they stayed well in control of possessions. UMass would only commit two turnovers after halftime. Despite UMass overpowering Ohio State (2-4) in shots (44-26) and shots on goal (37-20), the score remained close for much of the second half. The Minutewomen faced their largest deficit at the beginning of the second half as the Buckeyes took a 7-3 lead after opening up the period with a goal from Lindsay Epstein. Burnett scored four goals, Cerasi racked up three in addition and Kiley Anderson, Stephanie Croke and Holly Turner each contributed a pair of their own. The UMass offense produced its highest shots on goal percentage against Ohio State, with .841. The Minutewomen’s defense also shined as its 15 created turnovers were the second most produced by the team in a game this season, trailing only the game against Marist on Feb. 28, in which it came up with 17. Leading the defensive charge, Kasey Keane had a season-high five caused turnovers. Keane would also record four groundballs to contribute to her defensive efforts. In the overtime period, a shot from Cassidy Doster hit the post and deflected back into the field of play, and setting up the game-winner, Croke scooped up the loose ball. After a minute of further play, Turner was able to feed Burnett, who then sent a bus-warming shot between the pipes. “(The effort) was across the board; everyone stepping up believing that we could win,” said McMahon. UMass will finish up a six-game road trip in Sparks, Maryland, taking on Cornell Saturday at 12 p.m.
Ryan Beaton can be reached at [email protected], and followed on Twitter @ry_beaton.